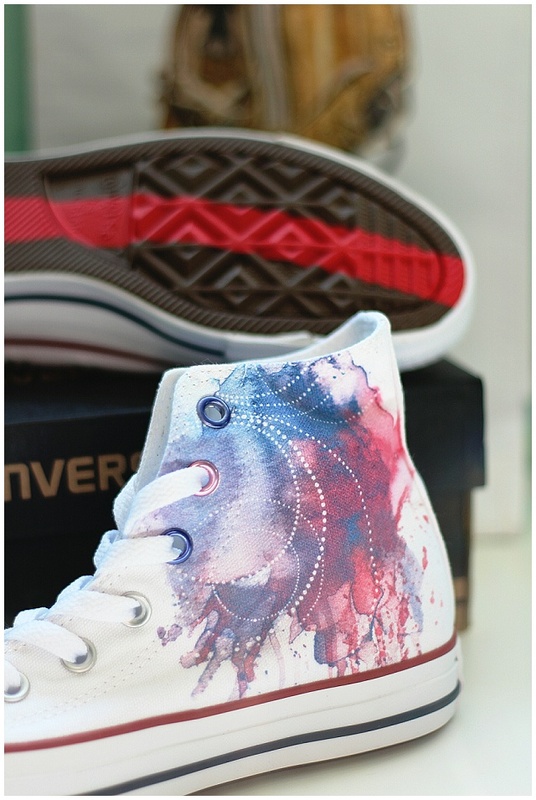 Custom Converse - Designer shoes with a red sole my way! We didn't spend loads of time on holiday shopping because that's not why we went, but we did have a few must buy items. Jim wanted NHL tshirts, hot sauce and maple syrup from our destinations. I wanted shoes and makeup. I did my makeup shopping whilst Jim was watching football. 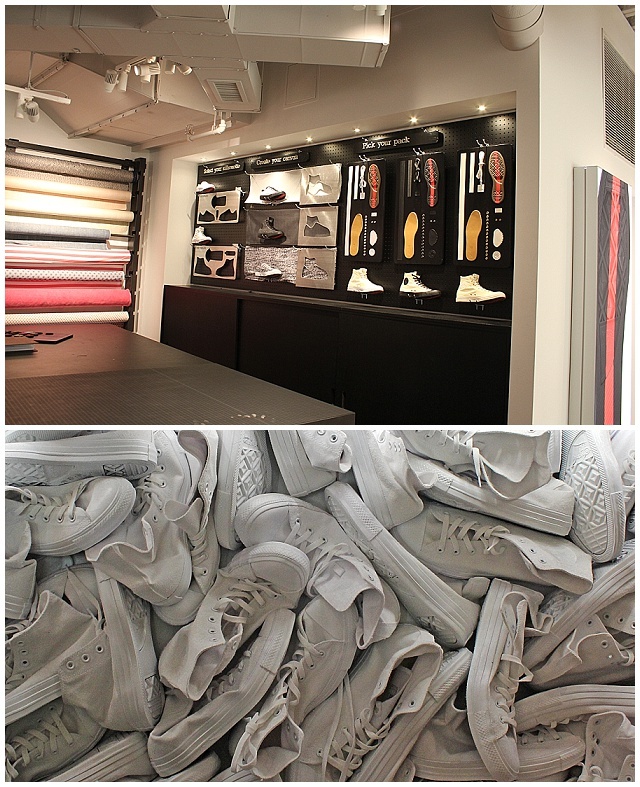 He did some of his shopping whilst I was designing shoes! I'll be honest, I had done zero planning before walking into the shop. I wasn't even sure I was going to get any made, but when we realised that shoes from that shop has a special red striped sole I couldn't not do it. Everyone wants a shoe with a red sole don't they! 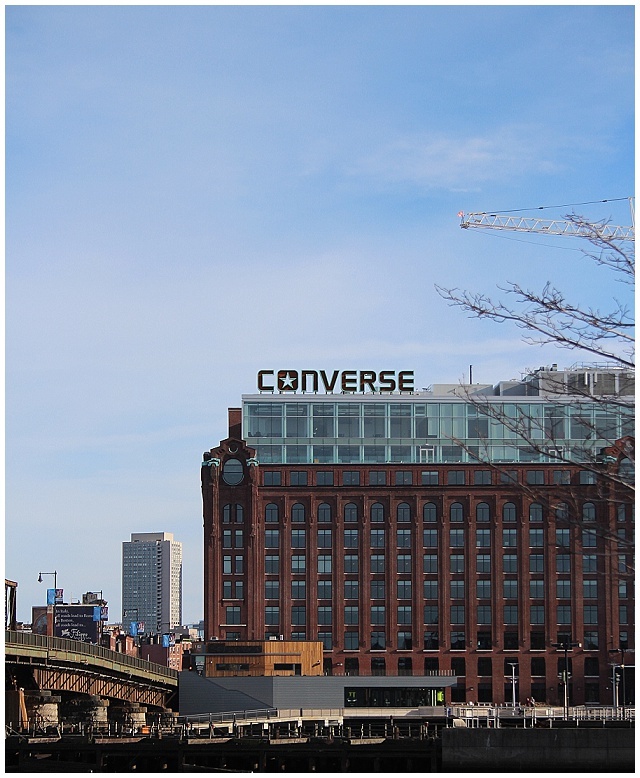 But as I had no idea what I wanted on my shoes, and I'm not sure this was the best plan, because after about 5 minutes of me blankly staring at the shoe design screen overwhelmed, and complaining about too much choice, Jim announced he was off to do something else. 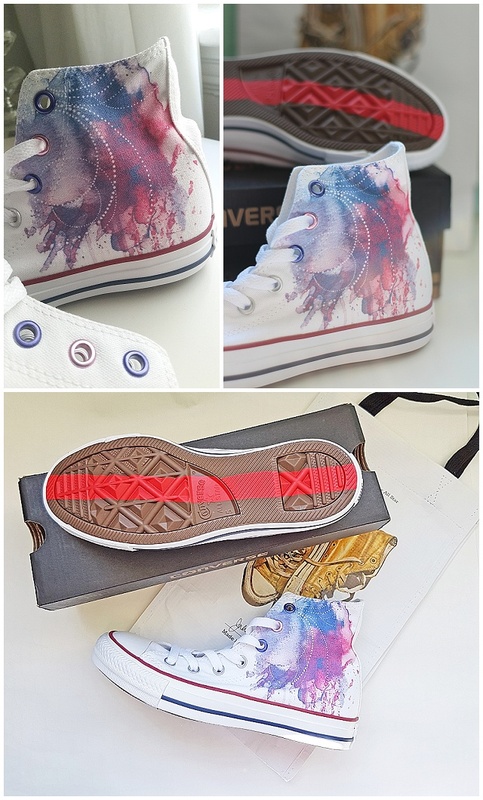 I just couldn't decide between a full all over pattern (mostly galaxy looking ones) or a design on part of the shoe. Should I switch out the laces? Add studs? Change the eyelets? 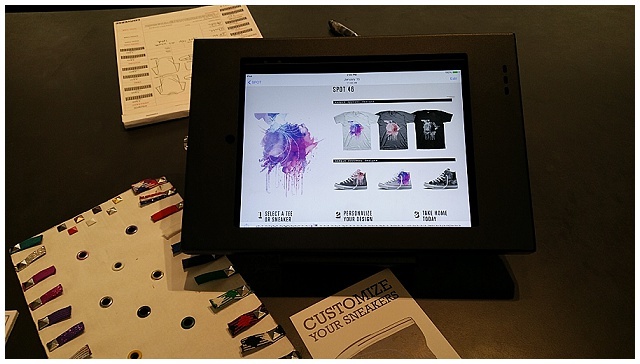 There are 1,000's of options, and colours to choose from in the Converse computers, or if you've planned ahead you can take in artwork of your own! It was just too much choice. Eventually though I found a design I couldn't stop thinking about - pink, purple, swirly, perfect! Before I could talk myself into getting another design I signed the form to get them made and wandered off to find Jim who was buying more NHL tshirts. In hindsight maybe I should have stayed the 45 minutes that it took to make the shoes, and photographed the process and the shop some more, you know "for the blog" but I had the rest of the freedom trail and the 294 steps of Bunker Hill monument to climb (more on that eventually) so I left my newly chosen red soled shoes behind and set off to see more of the city, returning a few hours later to collect them. 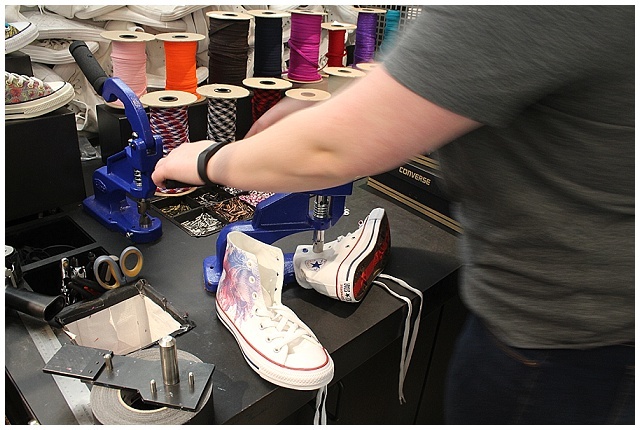 When we got back to pick up the newly customised shoes, I decided to swap out some of the eyelets for ones that matched the new pattern on my shoe, and the lovely lady in the shop also added me some metal lace ends too. And whilst these might be the most expensive Converse that I've ever bought, I am totally in love with them and they are a great souvenir of the holiday which has to be worth it, doesn't it. I'm just going to save them for dry, sunny, no chance of them getting trodden on by annoying kids sorts of days so that they stay this pretty forever. What are your favourite types of souvenirs? 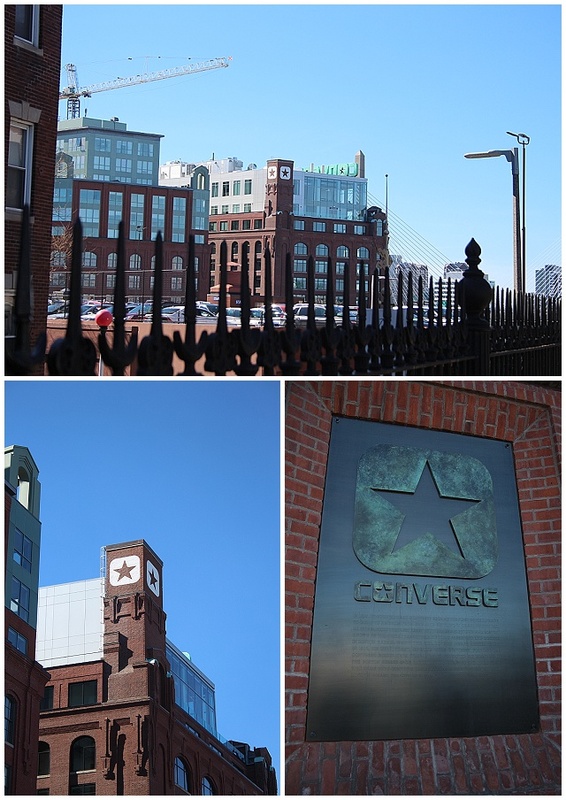 And if you're heading to Boston the shop is located on LoveJoy Wharf underneath the Converse World HQ (160 N Washington St, Boston, MA 02114).